amusement center,play park, shopping mall ,zoom, theater,holiday resorts ,theme parks. 1. Each water gun has 15 holes, which can shoot 15 water columns, and the game effect of realistic wind and smoke. 2. The game contains 20 shooting games, 20-in-1 program is more abundant, and multiple situations and levels are scanned in series. 3. It can support 3 players to play at the same time, and many first rounds of Japanese cartoon songs. 4. Seiko manufacturing, with leak-proof function. 5. Fashion cartoon appearance, the details are carefully carved, and more grades. 6. Can be applied to playgrounds, game centers, shopping center children's centers, theme parks, etc. 1. 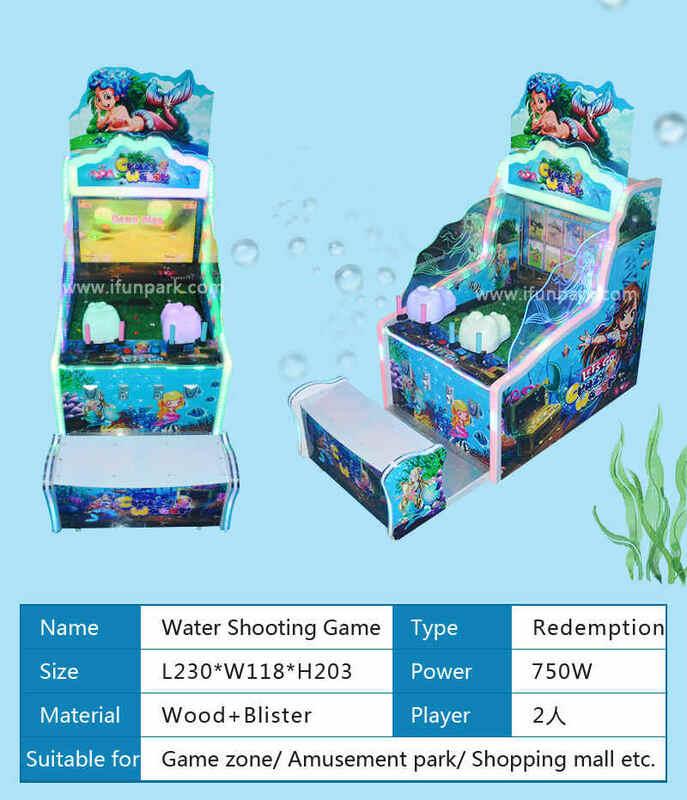 With 8 pcs different game scene for play . 2. Flashing lights and nice music . The higher scores you get, the more prize you get .